The Turned On retreat is a deep dive in Feminine Mastery, a blissful experience of mastery and elevation. The last 10 years have been a fabulous adventure restoring women in their Divine Feminine. 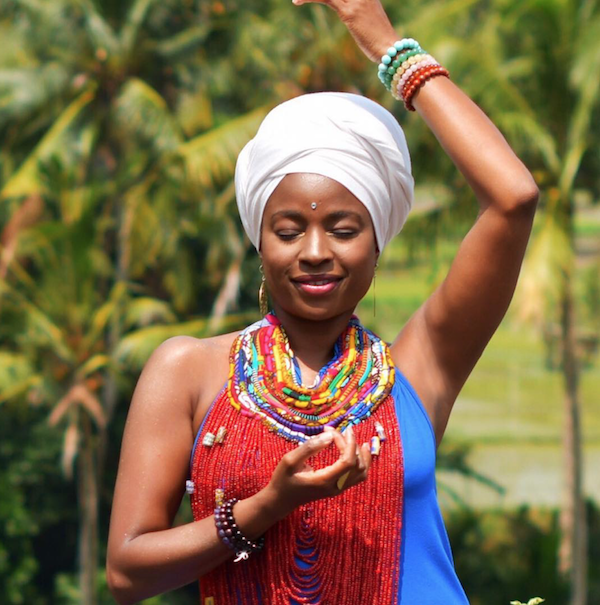 After 9 retreats in Bali and Kenya, I am excited to turn it up with TURNED ON: I will be leading 8-10 women ready to dive in a deepening of their feminine in the powerful Motherland, Africa. While the Magical Woman retreat focuses on breaking free from what doesn’t serve us anymore, Turned On is all about the artistry of being a TURNED ON woman, a woman who fully owns her essence, unapologetically, who dances with life, deliciously. who is empowered and conscious in her sexuality and the potency of her womb, wisely, who honors the rhythm of nature, the cycles of life and the beat of the Earth, sacredly. A Magic Maker. A Light Worker. A Lover. A Muse. Walking in grace, beauty and wisdom. On Earth. I am excited to have you join our beautiful circle. RESTORE your Womb Space, cleansing, nurturing and activating her sacred offerings of pleasure, creation and ancient knowing. RELEASE attachments to fear and pain in your mind and body, reconnecting to a natural state of flow and harmony. RECLAIM your sexual energy for vitality, creativity and inner radiance. REMEMBER the full range of feminine sensuality and expression to increase your capacity to magnetize our desires. RECONCILE your sexuality and your spirituality to deepen your gifts, activate your DNA codes and allow your unique voice and medicine to shine in the world. There are 2 direct flights to Nairobi with Kenya Airways and Emirates. I recommend Emirates. However, with the timing of the Emirates flight, you will have to spend a night in Nairobi to catch a flight the day after for Lamu: Emirates arrives in the afternoon and the flights Nairobi-Lamu are in the morning. The prices are usually lets $100. For the extra night in Nairobi I would recommend the Villa Rosa Kempinski, the Radisson Blue, the Giraffe Manor. You can even come few days earlier to relax, discover and get a safari experience. When we have the first registration, I will coordinate so that everyone stays at the same hotel. We can share the rooms there to reduce the costs. As everyone is arriving during the day on the 22nd: we will have an opening ceremony at Sunset. The group session will start on the 23rd in the morning. The morning of the 28th, we will all have breakfast together and head out to fly back to Nairobi, except for those who decide to stay longer to rest. They usually do the visa on arrival but please check with the Consulate or Kenya Airways based on your citizenship. You can also do the visa online: http://www.kenya-evisa-online.com. Also please check with them for the yellow fever vaccine. My friends coming from Dubai didn't have to do it but to be on the safe side, please check with travel agent, Kenya Airways or the consulate. with them. This will be at your charge but you will take advantage of the special price. What are the terms and conditions for payment? I changed the pricing for only single rooms at a lower cost as there is the extra cost of the might in Nairobi. REGISTRATION will close on May 20th and the early bird price ends on April 20th. PAYMENT SCHEDULE: First payment ($888 ) by May 20th, second payment (balance) by June 10th. HOW TO PAY: You can pay via bank transfer or by Paypal. The attendees are responsible for the transaction fees. CANCELLATION POLICY: Payments are non refundable. We ask you to respect that we cannot make any exceptions to this agreement. About Silfath Sophia Pinto is a Women Wellness Expert, Sacred Feminine Teacher, Spiritual & Energy Healer and Movement Therapist. She is passionate about restoring and elevating the FEMININE in the world. She has spent the last 10 years elevating women around the world, from London to Paris, Bali to Dubai, Abidjan to New York. Her clients have blossomed in their personal and professional lives: from changing jobs to changing careers, from letting go of the past to moving to a new city, from finding their soulmate to improving family relationships, from losing weight to flourishing in radical self-love. They call Silfath an energy shifter, a soul whisperer, an adorable giggler and self-love maven. Silfath is trained in various transformative modalities including Dance Therapy, Yin Yoga, Shamanic Journeys, Tibetan Bowl Sound healing, Theta Healing® and Reiki.